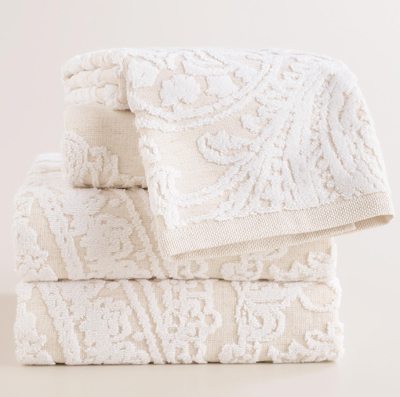 Crafted of a soft blend of linen and cotton, this versatile Alexandra Linen Flower Bath Towel Collection has a beautiful sculpted paisley design that boasts eye-catching depth and dimension. $9.99-$14.99. Buy here.